Set in a beautiful villa in Assagao, Villa Blanche Bistro is a charming and inviting cafe. Expect a mix of International and Goan food… and a killer Sunday brunch. 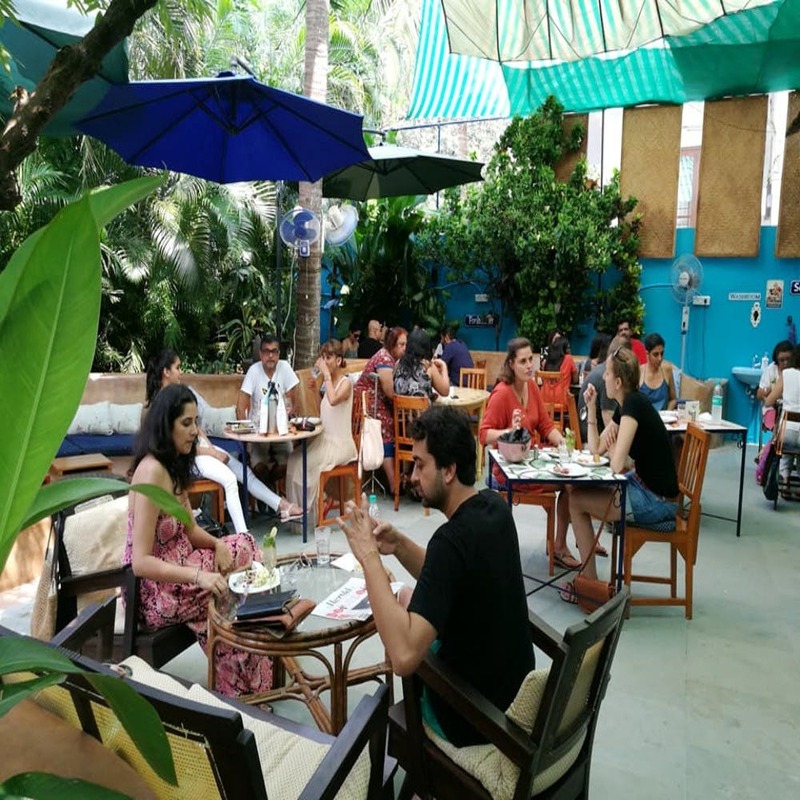 Taking a cue from sea, sand and surf, the cafe’s walls are painted a soothing blue, there’s mosaic artwork all around, and the ambience is very laid-back and homely. I’m a sucker for their delicious pies, German cakes and hearty salads. This is a great place to park yourself, or your companions, for hours at an end. Sit in silence, meet travellers, enjoy the aroma of freshly baked breads, or just dig into really good pancakes. If you’re living close by, I’d recommend you hop over to this garden cafe for their assortment of waffles, muesli and eggs. And hey, because you’re in Goa, there’s always the option to wash it down with a nice white wine or a cocktail off their drinks menu. There's a badass drink called HUGO (white wine spritz, elderflower) which goes well with 26 degree (celsius) weather. Apart from the amazing food, they organise dance classes on some evenings. So imagine the beautiful cafe coming to life with peppy music. If you’re vegan or are on a gluten-free diet, there’s a section on their menu just for you. Remember Blanche closes down every year from May till September end.